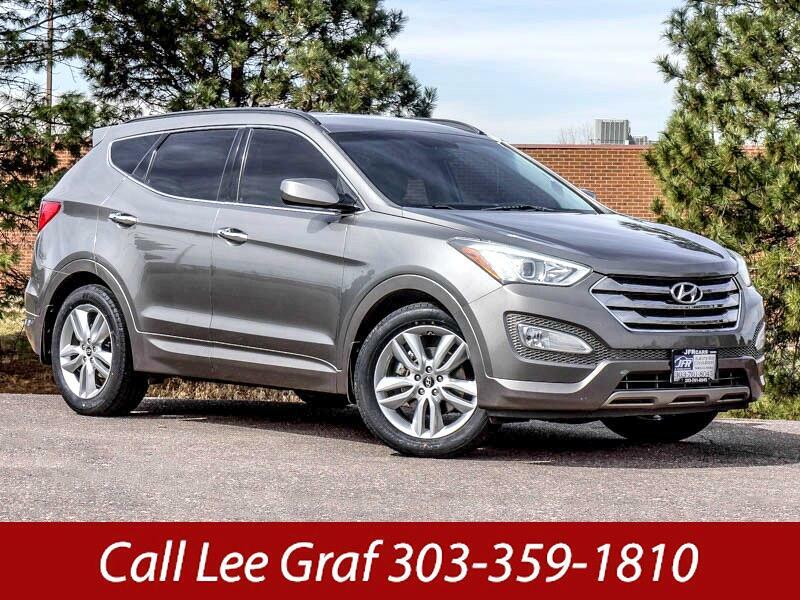 Used 2013 Hyundai Santa Fe Sport 2.0 FWD for Sale in Littleton CO 80120 JFR & Associates, Inc.
We all know the old saying. If it sounds too good to be true, it probably is. Well, in the case of this Santa Fe you can believe it. This crossover SUV has just the right amount of luxury, performance, plenty of features, and it won't break the bank. You'll love the way this SUV handles and drives. It's awe-inspiring and fun to drive. The cabin provides a very modern, clean design and the controls are simple to use and intuitive. Compared to other SUV's in this class, the Santa Fe is one of the nicer cabins of the crowd. You and your passengers will enjoy the comfortable seats and the fact that there is plenty of leg and headroom. This Santa Fe comes with a variety of options like alloy wheels, Satellite Radio, MP3 CD player, steering wheel mounted controls, keyless entry, DVD player, deep tinted glass, Bluetooth integration, plus lots more to make your driving experience more amazing. Call Lee Graf at (303) 359-1810 if you have any questions or if you would like to schedule an appointment to see this vehicle.